To make Satri Nakhonsawan one of top one hundred universal quality schools in Thailand. This layout template XHTML and CSS is W3C compliant. Welcome to Satri Nakhonsawan School,Thailand. In 1948, Ministry of Education intended the provincial school for girls to run a kindergarten education within the school and assigned the principle of provincial school as the head of the kindergarten school at the same time the school provided education from kindergarten to Prathom 4 level. “Nakhonsawan Provincial School for girls” has been moved to present location and has been known as “Satri Nakhonsawan school” Orinally there was a 1 – story building on 10 Rais and 377 square meters. In 1964, The kindergarten school separated to Nakhonsawan Primary Education office and the school had change the campaign not to receive any boys in 1982 then in 1997, the school has changed to be coeducation school and provides education for boys again. 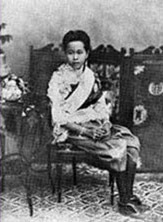 In 1986, The school won the prize of “Standard school” from Her Royal Highness Princess Maha Chakri Sirindhorn. In 1999, “A Royal Award for outstanding school” at Jitlada Palace. 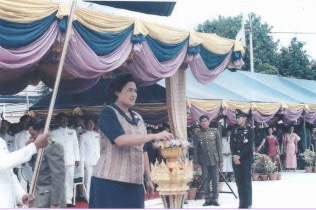 In 2000, A Royal Award of Botanical Gurden in accerdance with Plant Genetic Preservation Project of Her Royal Highness Princess Maha Chakri Sirindhorn. In 2003, A Royal Certificate of Botanical Garden First-Stage Certificate of environmental preservative intention. In 2011, “A Royal Certificate of Botanical Garden Second-Stage, Certificate of the Institute with potentials for all inclusive Botanical Garden Project Base. In the past, Prathom 4 was the highest level of primary education in Thailand. Programmer : Mr.Thanatcha Pothikul , Staff of Innovation and Technology for education, Education Administration.